Good Morning! 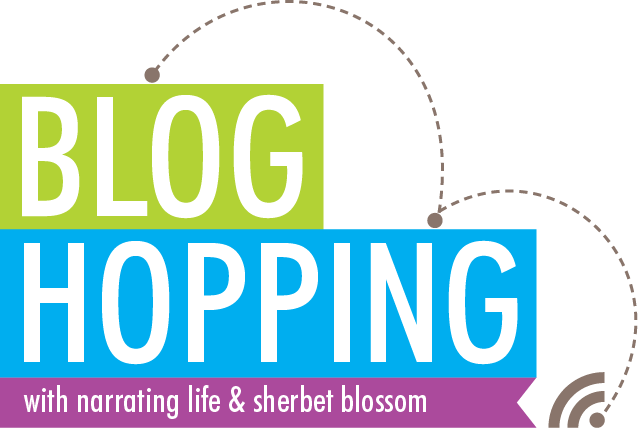 I'm excited about this new Blog Hopping series that Hannah and I will be hosting on the 20th of each month. Today we're talking about an easy family recipe and I'm featuring one of my all time faves: Fish Tacos. I fell in love with fish tacos right after N8tr0n and I got married. We were living in Bellingham, WA and there were fish tacos aplenty. It didn't matter if the fish was battered and fried or grilled and smothered in chutney; I was in love. Now that we live in Idaho fish tacos are less...plentiful. These that I make for our family are not quite as good as the ones that I had at the tiny restaurant on Mt. Baker Highway, but they give me an excuse to fire up the grill, which is really all I'm looking for from May through October. So I have to say, the picture? It's not amazing. But that is basically because when I make fish tacos we just want to eat them. NOW. And the fact that I need to take a picture for the blog is like, nobody's concern. So, the lighting was bad, the presentation was rushed, and the focus was off. But the tacos? The tacos were delicious. Toss and combine all ingredients in a bowl and let sit while fish is being grilled. Brush or spray fish on all sides with oil; season with salt, pepper, and chili powder. Grill over direct high heat until the fish begins to flake (about 6-8 minutes; turning once). Remove from grill and break into 1 inch pieces. Combine sauce ingredients and adjust according to taste. Heat corn or flour tortillas on direct high heat for about 20 seconds per side. Wrap in kitchen towel or put in tortilla warmer to keep warm. 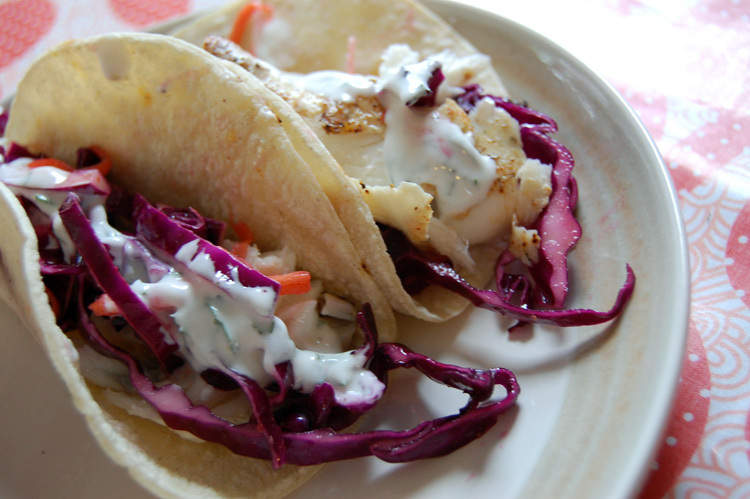 For each taco layer a warm tortilla with fish, slaw, and white sauce. Please be sure to hop over to the other rad blogs that are featuring easy family recipes this month. Dude. It's like we've planned your menu for the entire week! Huzzah! Yum! Fish tacos are some of my favorite things. Can't wait to try your version. I've never eaten a fish taco. It might be because of the fish. Lucky for me I love black beans! Or I could just stop being a big baby and try something new. We LOVE fish tacos in our family, but I've never made them. I can't wait to try this recipe!! YUM! This is a genius idea, Miranda. I have always wanted to know what other families go-to recipes are! I love fish tacos. Kind of my new favorite stand-by, and on the menu for this week. I haven't had a fish taco in awhile. Your look way good too! What the heck are you talking about? The photo looks great! And I'm so excited for all these recipes. It's like you knew I'd be meal planning today. I could just kiss you! I am seriously looking forward to this series! Because, you know, I'm always looking for more blogs to add to my Google Reader. Obviously. Love it. I've never actually had a fish taco. They look so yummy, but I have yet to try it. This recipe looks delicious, thanks so much for sharing! I take the easy way and use panko breaded tilapia from Costco in my fish tacos, but I'm going to have to try your recipe. Thanks for sharing, Miranda! I love fish tacos! We actually had something similar tonight but with a roasted chicken instead of fish. For my sauce I do one part yogurt and one part mayo, some lime juice, cumin and oregano. It is DELICIOUS!